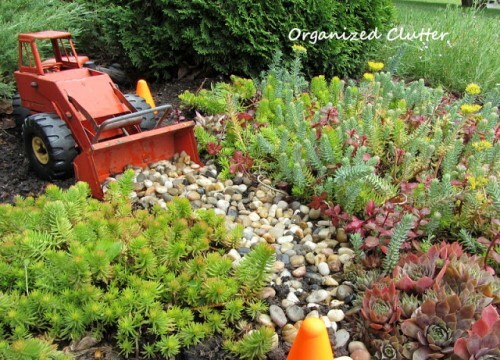 Succulent gardens are the buzz; even in cold climates, you can add a dry garden to your yard to show off all the great succulents that thrive in challenging conditions. Tender ones can be grown in terracotta clay pots, some spectacular containers for succulents or root planters, intermingled with hardy Sedum, Sempervivum and Jovibarba growing in colonies surrounded by pebble or lava rock mulch. They will flourish with little care, providing your garden with a lush look with little to no watering. If you live in a climate that gets a few good rain showers through the summer, you won’t need to irrigate your succulent gardens. Plan on replacing your thirsty lawn with gravel or succulent groundcovers; do this in sections so as not to shock the neighbors too much. Once they see how little time you waste on watering and maintaining your xeriscaping, they’ll be copying you in no time. Even your porch and patio areas will benefit – you can use succulents in hanging baskets which even though they need watering daily as they’ll dry out in hot areas, they’ll continue to flower and grow all summer. Grouping clusters of containers for a movable succulent garden gives you the chance to try different plants in combination before planting them in ground. For a great option for a temporary succulent garden, make a mosaic in a shallow dish or frame and display it on a stand, or flat on a table. 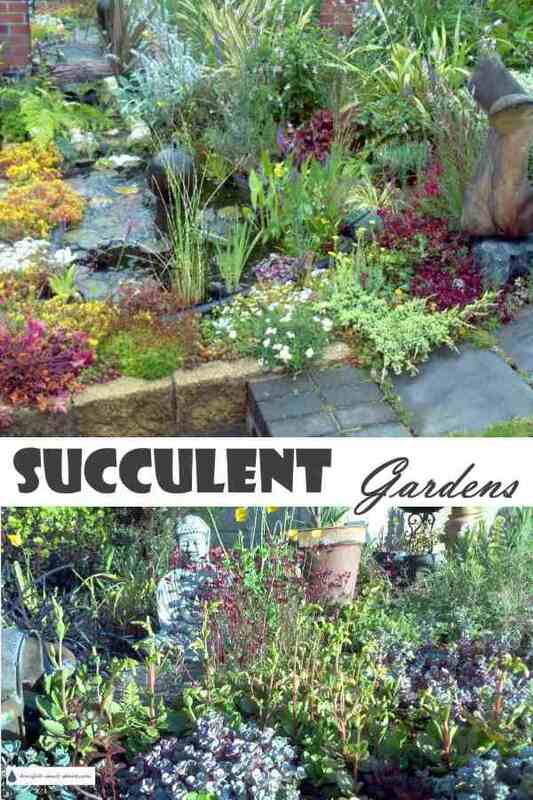 Succulent gardens are not necessarily deserts – that has been proven by the huge increase in gardeners all over the world switching to the new style of gardening. Succulent gardening is on the increase everywhere, and especially in areas that are experiencing drought like never before. Lack of rainfall and extreme heat can make you wilt, but there’s no reason your plants should do the same. 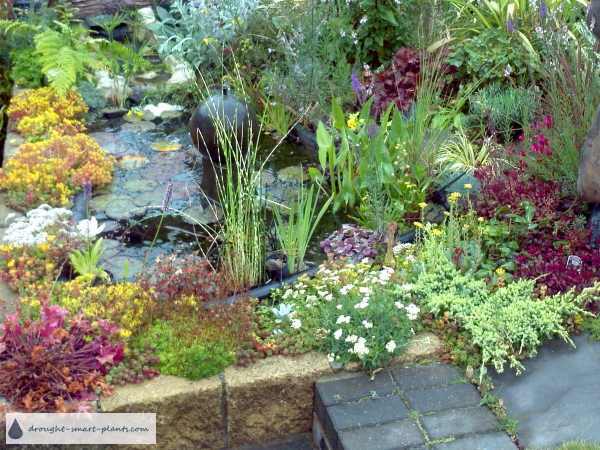 Xeriscape ideas can be as simple as grouping plants with similar needs together, using some kind of drip irrigation to water those that desperately need constant moisture and the rest of the xerophytes can get along fine without more than a periodic soaking. Start your succulent garden this season – and reap the rewards of an ever more beautiful landscape. Low maintenance doesn’t mean lack of lush plantings, it just means choosing the exact plant for the particular conditions. 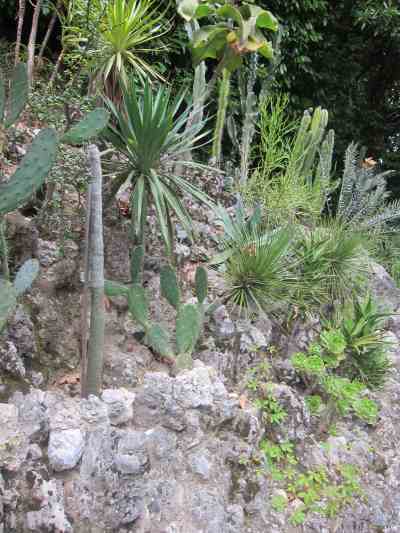 Succulent gardens are all over the place now - do you have one to brag about, or just share? Whether it's in your front yard, or a neighbor's garden, or even in a botanical garden, share some pictures, and tell us what you like about this succulent garden. 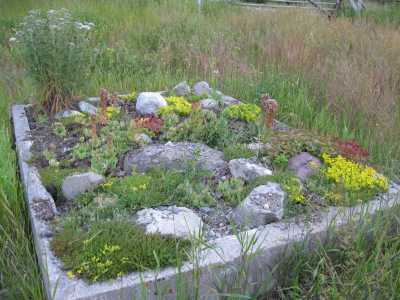 Sarah's Garden in Lillooet B.C. 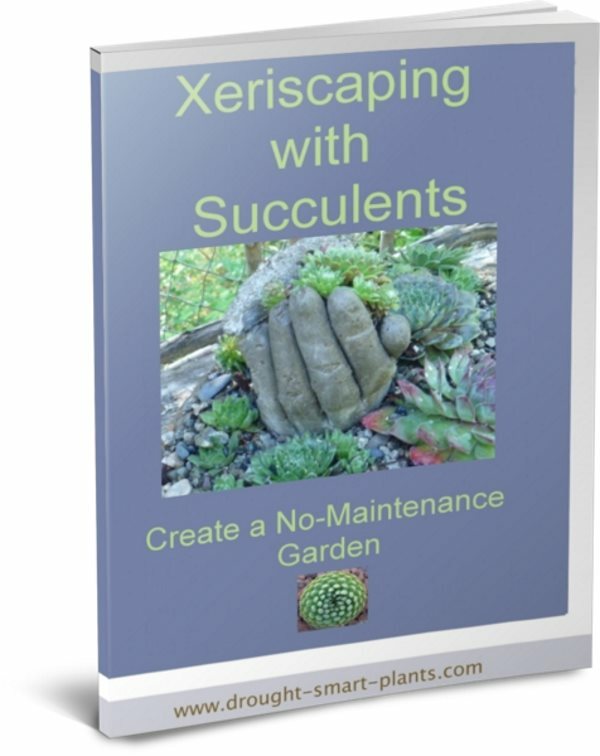 Xeriscaping with Succulents E-Book - buy your copy now!